She gave me a curious look – maybe hesitant or confused, certainly amused – and responded, “Do we bathe every day? Of course.” I glanced off towards the field for a moment, faintly embarrassed. I had come prepared to rough it. What’s three days without a bath after all? But my Kenyan hostess clearly had cleaner ideas for me. “I’ll take one a bit later,” I hedged. She looked away and began clearing the lunch dishes. I helped and then took my journal to the front porch to think. After a nine-hour bus ride and a four-hour nap, the brain fog hadn’t quite cleared. 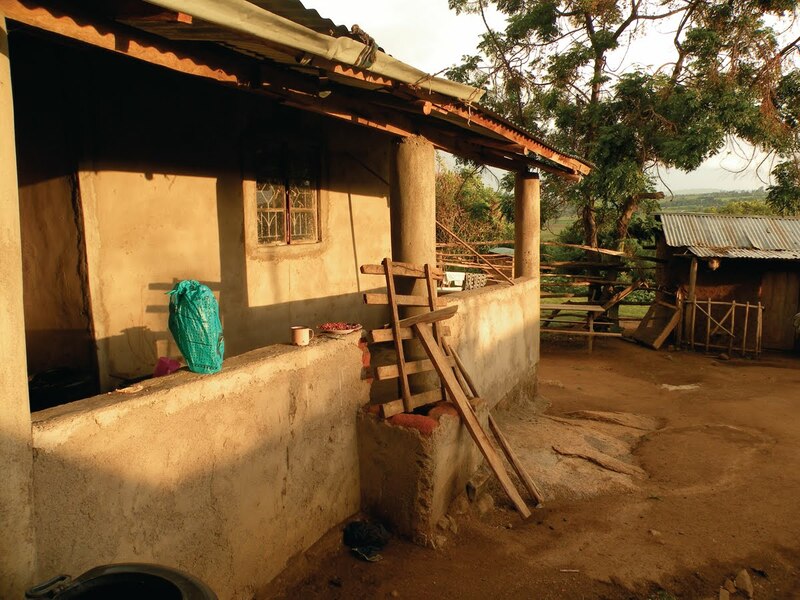 I was in Kuria – a tiny district in the southwestern corner of Kenya – the village home of my Swahili teacher, Mwita. He and his wife and youngest son had gone after Christmas to visit the family at the homestead, and I had come to join them for a few days. 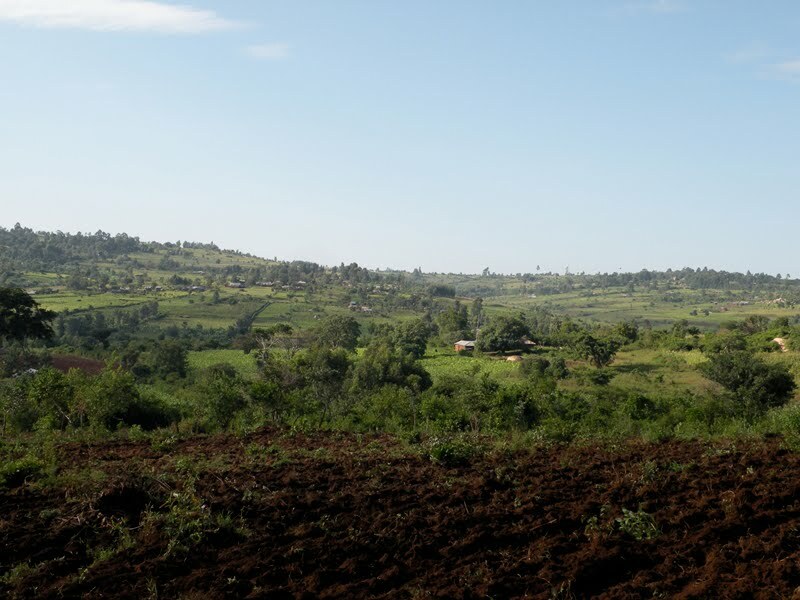 I had come to experience rural Kenya in a non-school kind of way. 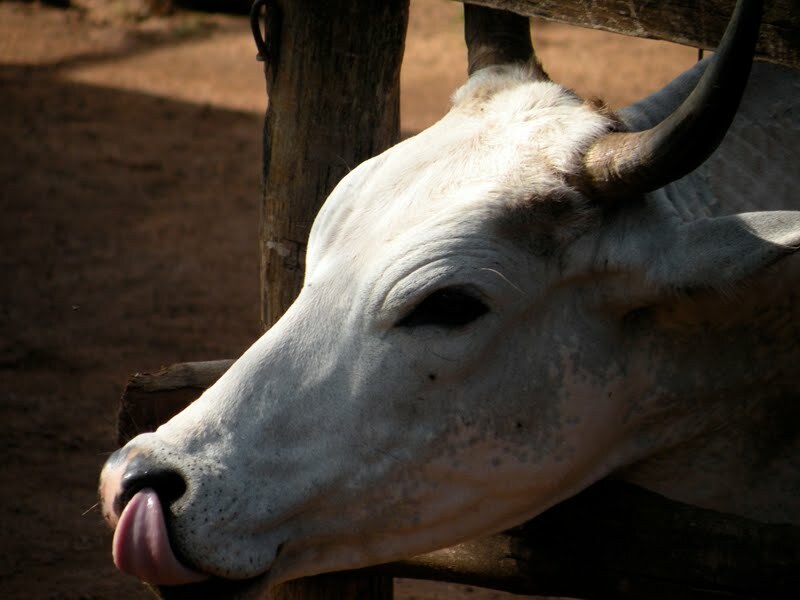 The home in which I was a guest was not one house but four: four small rectangular buildings arranged in a square with each door facing the ‘courtyard’ where the cattle were penned up. Three of the homes were made of clay brick and mud plaster, and each was divided into two rooms – one for cooking and one for sleeping. The fourth house was a bit larger than the other three, was made of cement, and had a small porch with a large metal door at the entrance. It also had two small additional rooms built on to the side, either for storage or guests. All four houses were joined by a wooden fence – built to generally keep occupants in and strangers out. Goats and chickens, however, seemed to find the fence rather irrelevant. In one corner was a tobacco drying area. In the other, a small grain storage bin. At the homestead: standing in front of one house, looking at the courtyard and two other houses. The cows spend the night in the courtyard and the day out at pasture. Two kids were born while I was there. 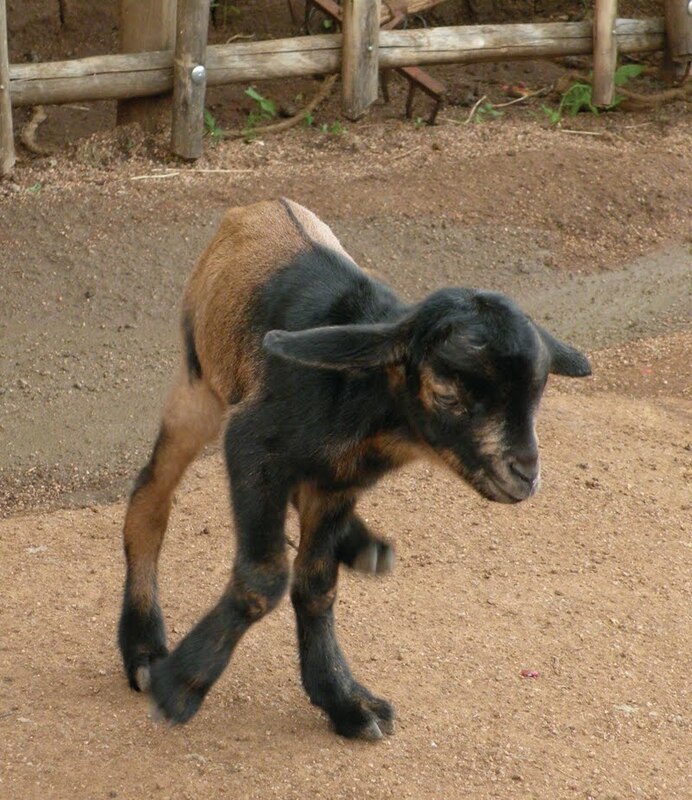 And by kids I mean baby goats. Mwita at his front door. The inner porch of the cement house. 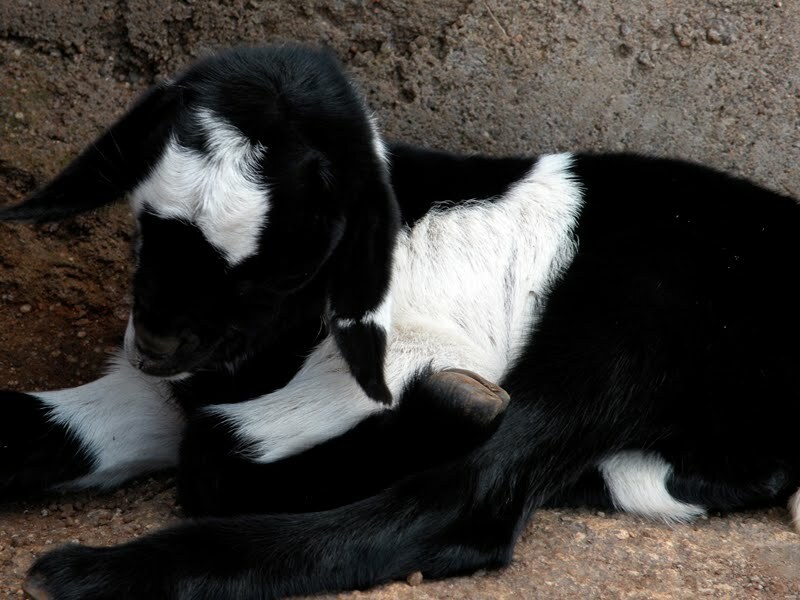 Mwita is the oldest of ten children. 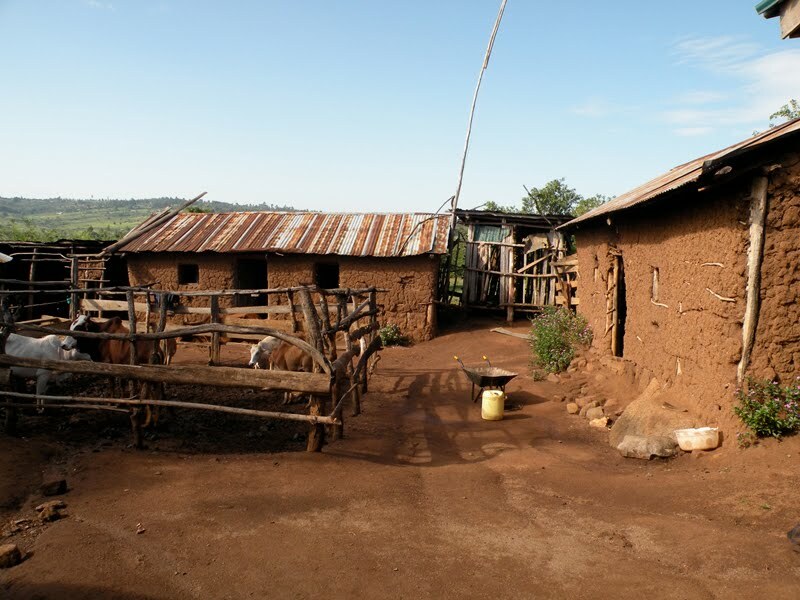 Only his mother and two of his brothers live on this compound. The rest, including his father, either live nearby or have married and moved into their husbands’ compounds. The experience was, for me, eye-opening in many ways … though perhaps not in ways you might expect. The shape, color, smell, and feel of village life did not surprise me. 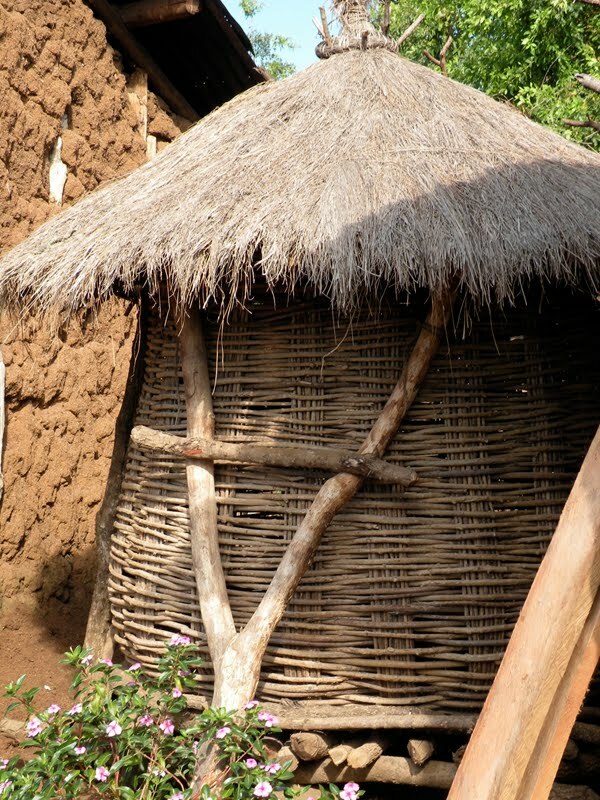 Rural Africa has been a familiar part of my consciousness since I was a toddler. I had not, however, experienced village life as an adult. I had not experienced the rhythm of waking, cleaning, cooking, walking out to the fields, or visiting neighbors. I had not sat with a family over dinner and listened to their conversation about the day. I had also never seen so clearly the intersection of global economics and small business. Nor had I ever been so struck by the parallels between this life and the early lives of my grandparents. Both sides of my family are farmers. My dad’s dad grew up on a tobacco farm in rural North Carolina. Dad’s mom was raised on a farm in Indiana. My mom’s parents were raised on farms in southern Minnesota and then owned a dairy farm when she was growing up. It was the tobacco that first drew my attention though. 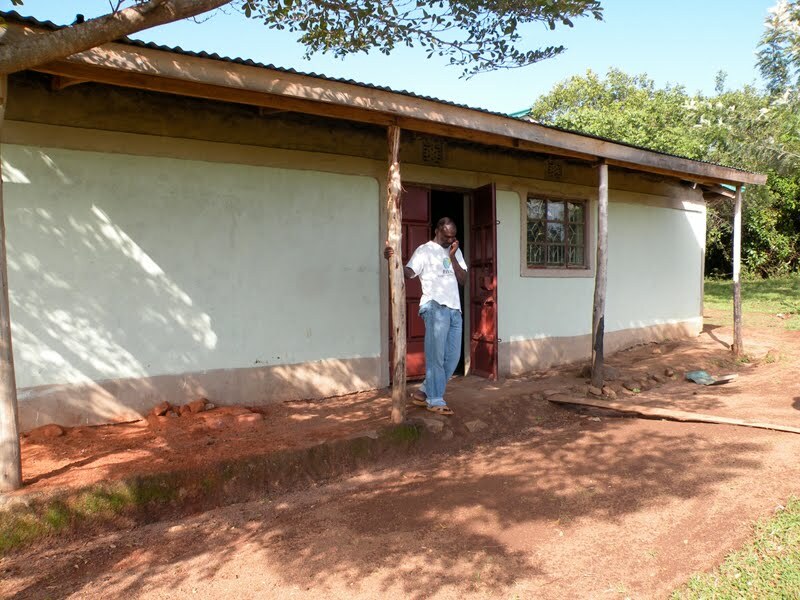 Mwita’s brothers had a tobacco curing shed in one corner of the compound. The day that I arrived, they were busy stringing withered yellow leaves to wooden poles. (Sadly, I didn’t take a picture.) A bit later I walked down to the fields with Mwita and saw the tobacco growing. I also watched his brother turning up the soil for the next crop. The land and surrounding farms. The tobacco is harvested by hand, dried by sun and woodfire in a smokehouse, hand sorted, and sold to a conglomerate that ships the product to one of three different tobacco companies. 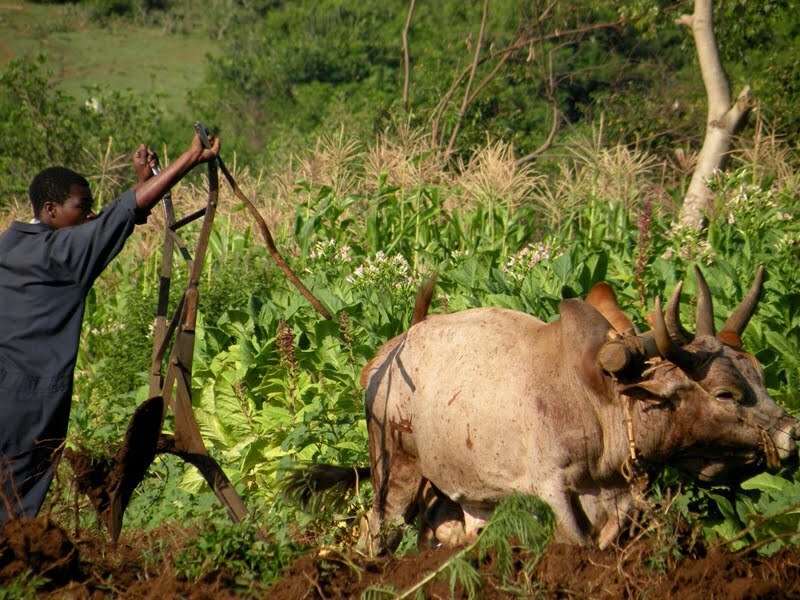 From the farmer’s end, it is time-intensive work – it consumes more of his time than any other crop. It also consumes more wood than any other crop. Since the majority of the leaves are cured over a woodfire, farmers are having to cut down many trees to keep producing. The landscape picture above shows a hilly land with a few trees. Mwita says that less than twenty years ago you could hardly see the hills for all the trees. The arrival of tobacco farming meant the cutting of the trees – and there is much more cutting than planting happening right now. The greatest irony of all is that it is a cash crop that is making the farmers poorer. The tobacco companies pay up front for the product. A good crop might mean $500 – $1500 in cash. To a Kenyan farmer who would never otherwise see that much money at one time, it is a fortune. What’s the catch? The farmer who doesn’t know how to keep a budget nor monitor his expenses might not realize that the amount of time, labor, and resources spent producing the crop actually only allow him to break even. Additionally, it’s not a food crop. The family cannot eat it – cannot keep some to feed themselves. That means they spend more money paying for the food that they might have otherwise grown themselves. 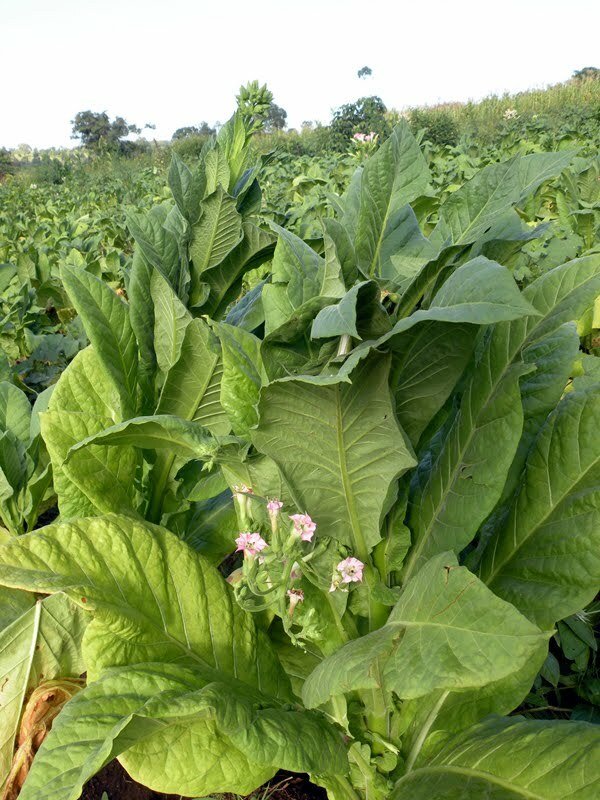 Many of the tobacco farmers do have small food plots on their property, and this is their compromise; but is the long-term gain real or imagined? Especially considering the deforestation, soil overuse, and topsoil loss. Yet the demand for tobacco on the world market and the perceived financial gain by the farmers drives them on. On the human history side of things, watching the hand-cultivating and curing process brought back hazy memories of Weeks’ family stories and pictures. Stories my dad and granddad used to tell about life on the farm: working the fields and gathering the tobacco; the simple hand-made farmhouse with the chicken coops and outhouse out back; boiling water for a bath and cooking over a wood-fire stove; living with lots of family around (grandpa was tenth of twelve). The biggest difference between then and now: these farmers all have cell phones. I had been sitting on the front porch with my journal for about an hour when Mwita’s wife came out to me carrying a basin of steaming water. Are you ready for your bath? I jumped a bit from my spot. “Of course,” I lied. I was enjoying the quiet on the porch, but she looked as though she was about to scrub me down herself. Instead she led me to the brick outhouse – a small structure that was conveniently divided into two sides: one with a big hole and the other with a small one. She set the basin in the side with the small hole and left me to do the job myself. It was in fact the most pleasant bucket bath I’ve ever taken. Thanks Lillis for everything you so creatively write. It brings back so many memories of “bucket baths” in Kimpese, DRCongo in the early 80's; every day from 4-5 pm after the tubs were filled at lunch and heated by the sun and then dinner at 6 as the sun was completely set by 6:30 pm.